There’s been speculation as to how jobseekers should segment their time for the job search. Some embrace the idea of dedicating a certain amount of time to their job search methods; They have a well-devised plan. Others don’t give much thought to how they’ll spend their time and energy on the search. This can be a mistake. Having guidelines, whether you adhere to them or occasionally drop the ball, provide objectives which are necessary to achieve your goals. 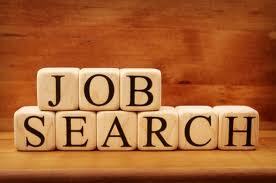 The job search is not an exact science, however you need a guideline to give yourself direction. Consider the following way of segmenting your job search into job-search methods. The Department of Labor has stated that at least 60% of jobs are gained through networking, and most pundits would agree that networking is the best use of your time. However, some people have the misconception that attending networking events only constitutes connecting with people who can be of mutual help. Networking should be a daily event that comes about naturally, such as during family gatherings, on the sidelines of a soccer game, while getting your hair colored, in the grocery store, etc. You must prepared to present yourself in a favorable manner at all times; first impressions count. Read this article to learn about networking naturally. Note: Awhile back, Lou Adler, expert recruiter and author of The Essential Guide for Hiring & Getting Hired, wrote an article for LinkedIn in which he states networking should constitute 60% of your job search. LinkedIn is the best way to network online, period. Facebook and Twitter are great media for communicating real-time, but serious business people and jobseekers use LinkedIn on a regular basis with great success. I only suggest 20% percent because putting more effort into LinkedIn can make you complacent, believing that it’s a replacement for personal networking. It isn’t! LinkedIn is a great supplement for personal networking. Once you’ve developed connections on LinkedIn, it’s time to reach out to them and touch them in a personal way: meet with them in person, talk on the phone (if they’re long distance), and at the very least communicate via e-mail. Read this article to find out how. Estimates for success using this method to search for work only range from 4-10%, according to the well-known Richard Bolles, *What Color is Your Parachute. The image of jobseekers hunched over their computer mechanically zipping résumés into the clouds depresses me. Why not develop a list of companies for which you’d like to work, follow their progress (or lack thereof), and send a nicely crafted approach letter (which indicates your interest in a possible positions) to the companies that show movement? Or better yet, call them. Let’s adjust this figure. Spend 5 percent of your time playing the lottery by sending out your generic résumé that most likely will be lost in companies’ huge databases; spend the other 5 percent doing your research and composing introductory letters or making phone calls that will garner greater success. This figure assumes you use agencies or 3rd party recruiters. Some of us stiffs, perhaps more than one would think, don’t use recruiters due to the industry in which we work. So this 10 percent can be thrown out the window for people who haven’t even run across a recruiter. On the other hand, if you are in an industry where working with recruiters is the norm and you demand a high salary, this figure seems a bit low. Richard Bolles gives this method of job search a 5 to 28 percent chance of success if used alone, taking into consideration the salary requirements of the jobseekers. I’ve heard pundits claim that creating a weekly schedule to follow is fruitless. I disagree. Having a schedule to follow on a consistent basis gives you structure and objectives toward an attainable goal. Let’ say you’ll spend 30 hours a week to conduct your job search—a good number, I think, as you’ll want time for other important things in your life. Of those 30 hours you’ll spend 18 combined hours on networking activities, only 3 or 4 of those hours attending networking groups; 6 hours on LinkedIn; and 3 hours online and recruiters. Of course your plan may be derailed for one reason or another–Uncle Al blows into town. You don’t have time to attend the third networking event of the week. No sweat, get back on track the next week and stick to the theoretical schedule. The most important thing is that you are proactive in your job search, not spending 30 hours a week sending your résumé into the dark void. *Bolles wrote this way back in 2011, but I think it still holds true. This entry was posted in Career Networking, Career Search and tagged Job Postings, job search, LinkedIn, Lou Adler, networking, recruiters, resume on July 19, 2015 by Things Career Related.